We are looking to expand! At least in our Fridge and Freezer capacity. 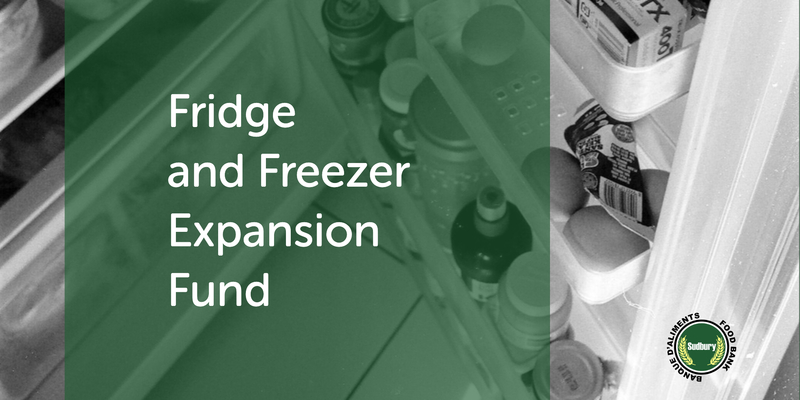 To help with the kind folks trying to raise money specifically for this project we’ve added a donation fund option to all our donation pages called “Special Fund: Freezer”. Anyone who’d like to help out with this effort is also welcome to select that fund option when making a donation through one of our donation forms here on the website. If you prefer to make in person, or over the phone donations and would like to contribute to this specific project you can request that your donation goes to the special fund too. As always, we thank all the people of the Greater City of Sudbury for their support.